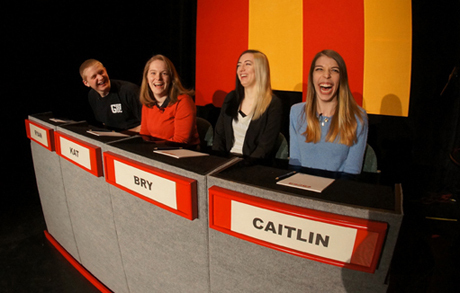 Granite State Challenge is an annual televised academic quiz show set up in a single-elimination knockout format. 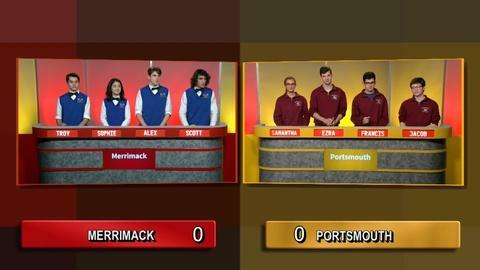 The winner of each match moves on to the next round of competition while the losing team is eliminated from further competition for that season. 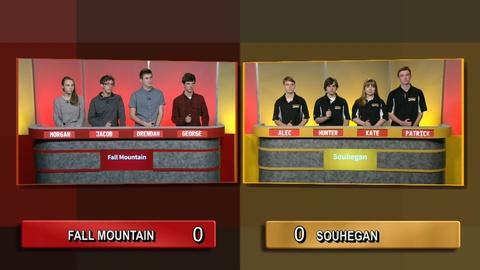 Game play progresses through four rounds of 30-minute matches culminating in the Granite State SuperChallenge, which determines that season’s champion. 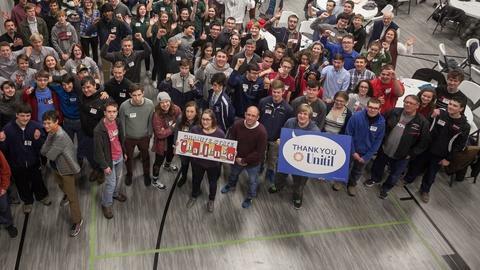 Any New Hampshire secondary school, public or private, serving grades 9-12 is eligible to participate. Interested schools can bring a team of up to six members - four players and two alternates - to take a qualifying test in the fall at the GSC SuperSunday Qualifying event. 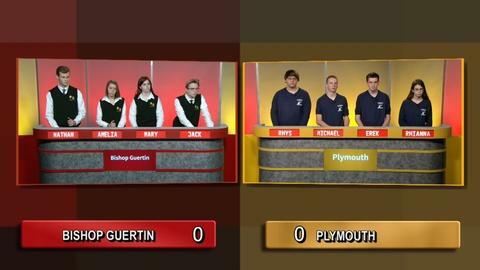 The 14 schools scoring the highest on the written test are given an automatic spot on the televised Granite State Challenge game show. Four wild card teams will be randomly selected from schools participating in Super Sunday that have not participated in the televised version of GSC for the past two seasons. 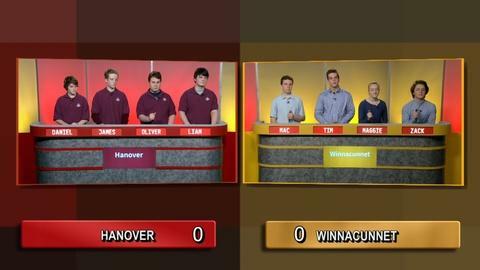 The wild card teams meet in two head-to-head non-televised matches at New Hampshire PBS in Durham, NH. The winning teams of each match move on to the televised games. All team selection decisions are final. Each school selected to compete must appoint a coach or coaches who will serve as the school’s liaison with New Hampshire PBS. All specific information regarding taping dates, show format, scoring procedures, etc. will be handled by the coach and New Hampshire PBS. Additionally, each competing school is responsible for selection of team members. Each team must consist of four regular playing members. One of those team members should be named as the captain of the team. At least one regular playing team member must be a New Hampshire resident. Each team must also retain two non-playing alternates. These alternates, at the discretion of the coach and with advance notice to New Hampshire PBS, may be rotated into playing status for a regular team member. 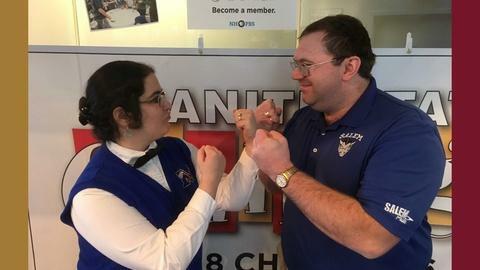 Family members of New Hampshire PBS employees may not participate on a Granite State Challenge team. The coach is tasked with the responsibility of preparing their team for competition on the program. Each school must decide for themselves the best way to prepare their students. General guidelines on the type of material typically encountered will be provided by New Hampshire PBS along with suggestions on where practice material may be obtained. The specifics of how teams train are left to individual schools and coaches. 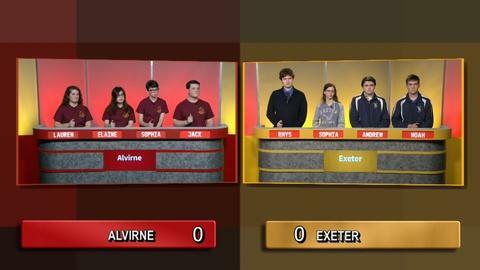 All Granite State Challenge matches are recorded on weekends. 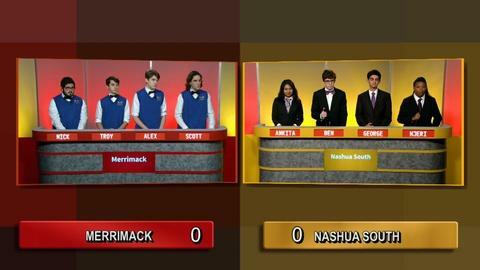 Teams selected to compete must participate on the date and at the time assigned by New Hampshire PBS. There are no exceptions. A taping schedule will be determined and distributed following the selection of teams. 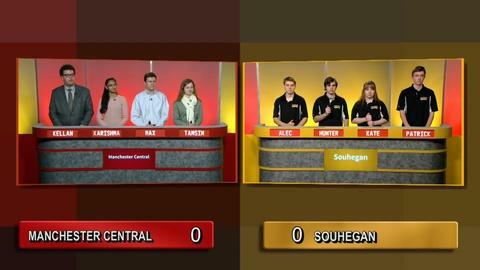 All Granite State Challenge matches are played in four rounds. Toss-Up questions in Round One are worth 10 points each. 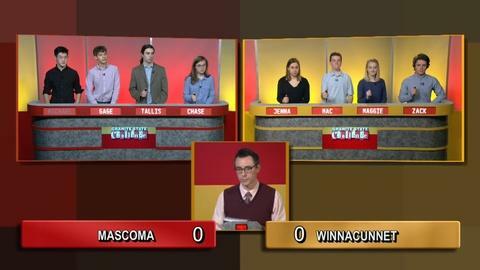 Once the host finishes asking the question, players from either tema cam buzz in. Once a player has buzzed in, he or she must give an answer immediately. If they take too long to give an answer or they give an incorrect answer, a buzzer will sound and the host will reread the question and the other team will have an opportunity to answer the question. 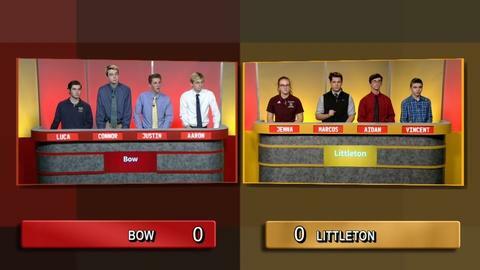 If neither team answers correctly the host will proceed to the next toss-up question. Toss-up questions are to be answered only by the player who buzzed in. The rules for round two are the same as for round one, but correct answers are now worth 20 points. The 60 second round features three categories for teams to choose from. 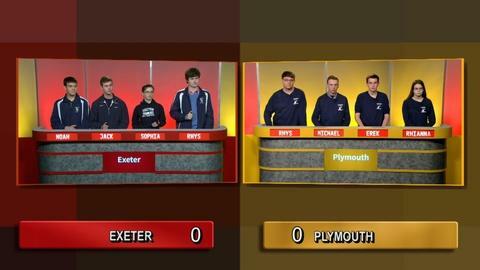 The team with the lowest score is given the first choice of categories. Each category has 10 questions or clues related to a single topic. Each correct answer is worth 10 points. 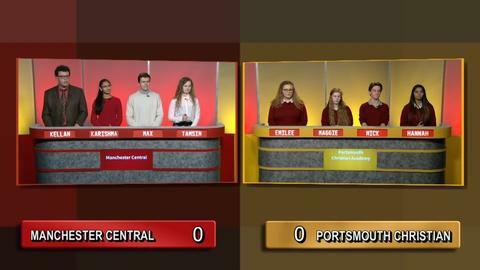 If a team answers all 10 questions correctly within the 60second time limit, they are awarded an additional 10 points. This round is similar to the 20 point toss-up round, but 20 points are deducted for each incorrect answer. The sound of a siren signifies the end of each round. If the host is asking a question when the siren blows, all action stops. If a student has rung in, or is in the process of answering a question, he/she will be permitted to answer. Unlike regular game play, if the student gives an incorrect answer there is no opportunity for the other team to answer the question. In all cases decisions made by the judges are final. The only time team members may confer with one another before answering a question is during the during the 60 Second round. The host will remind teams when it is and is not appropriate to consult with one another. Teams violating this rule will receive a warning on the first offense. Subsequent offenses may carry penalties including, but not limited to, disqualification. Participation in the contest shall be considered a school function, with the competing schools taking full responsibility for the students’ transportation to and from New Hampshire PBS, and agreeing to accept full liability for the students' conduct and safety. Teams not conducting themselves in an appropriate manner may be disqualified from further competition regardless of the outcome of their game. 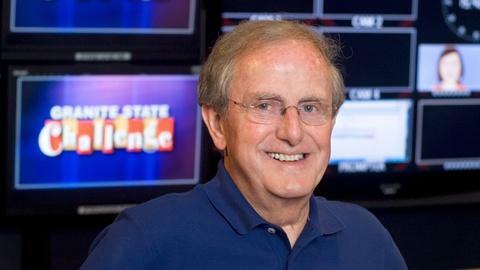 New Hampshire PBS, at its sole discretion, reserves the right to add to, amend, or eliminate any or all of the above rules without prior notice. In the event that such changes are made, this page will be updated to reflect those changes and team coaches will be contacted and directed to review the updated rules. 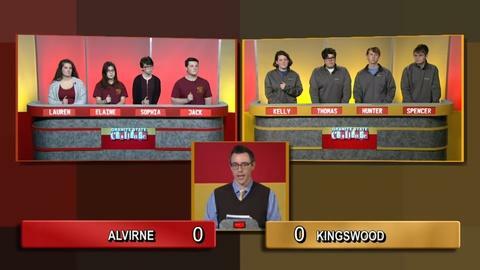 Alvirne High School and Kingswood Regional School compete. 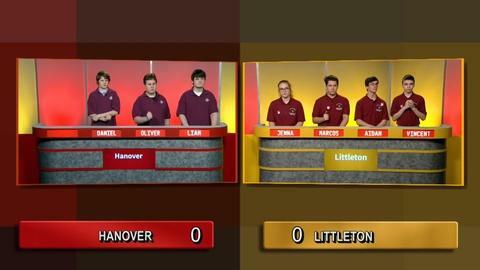 Winnacunnet High School and Mascoma Valley Regional High school compete. The final game of the 2018 season, Salem battles Plymouth. Hear one couple's behind-the-scenes true love story. Aan insider's look at the popular competition. Take a special peek behind the scenes of Granite State Challenge! 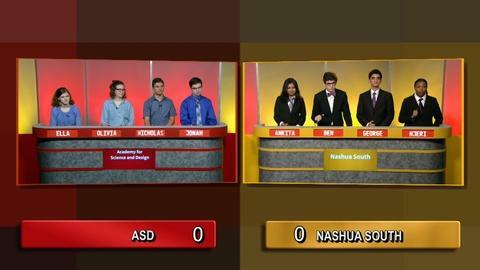 Watch Nashua South take on Plymouth in this semifinal match up.